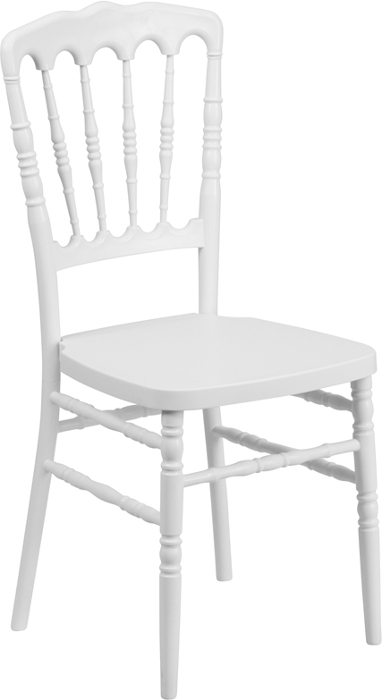 This new style of chiavari chair is knows as the "Napoleon Chair". It offers style & elegance. Constructed from polypropylene resin for "all the way through color", meaning it will not scratch off or need to be painted. For added support, and durability the legs are made with a steel core. These chairs stack 10 high for easy storage & transport.